One of the most important parts of cloth diapering is choosing the right detergent. I would not recommend using homemade laundry detergent like the one here on my site. It contains soap which will build up on the diapers and eventually cause them to repel. Then you will have leaks and your baby may get a rash. Your diapers might start to stink no matter how many times you wash and rinse them. So, If you have any of these problems, consider changing your detergent. Most other commercial detergents can be equally damaging to diapers if not more. Most of them contain nasty chemicals and fragrances and I wouldn't even recommend using them on your clothes. 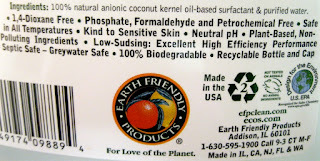 Check out my post about toxic ingredients in laundry detergents and cleaners to find out more. So, stick to something as natural as possible without fabric softener or optical brighteners. I chose Ecos free and clear. It is safe for HE washers. 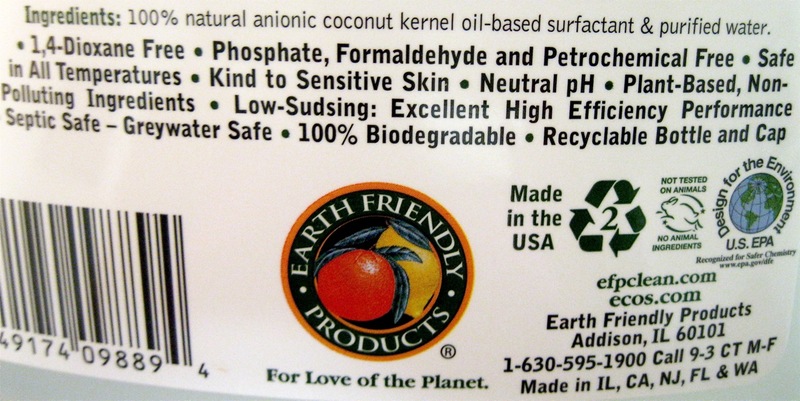 It has 2 ingredients; 100% natural anionic coconut kernel oil-based surfactant & purified water. It is free of 1,4-dioxane, phosphates, formaldehyde and petrochemicals. It works great with my hard water. I still use my homemade laundry detergent on our clothes though. I find the free and clear causes our clothes to get staticy and I save a lot of money with the homemade recipe! If you want that recipe go HERE. I can conveniently buy Ecos from my grocery store. If yours doesn't have it you can find it on amazon.com You can also get it really cheap with your first order from VitaCost. If you create an account they email you a $10 off coupon! There are a lot of other great detergents out there as well. HERE is a list with ratings to help you find the best one to suit your needs.